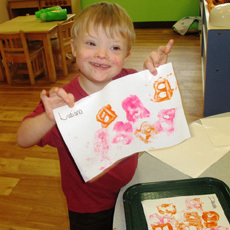 Since November 1, 2007, Easter Seals Florida has been home to the Treasure Coast Early Steps (TCES) program. TCES provides early intervention services to children and their families residing in Palm Beach, Martin, St. Lucie, Indian River and Okeechobee Counties on the southeast coast of Florida making it one of the largest regional programs in the state system. Early Steps is Florida's early intervention system that offers services to eligible children, birth to thirty-six months, with significant developmental delays or a condition likely to result in a developmental delay. 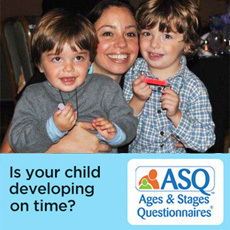 Early intervention is provided to support families and caregivers in developing the competence and confidence to help their child learn and develop. TCES services are based on Early Steps evaluations and your family's concerns, resources, and goals. TCES uses a Team Based Primary Service Provider approach to empower each eligible family by providing a comprehensive Team of professionals from the beginning of services through transition. Our goal is for the family to receive strong support from one person, provide a comprehensive team of professionals from beginning to end, and for the family to have fewer appointments and more time to be a “family.” Services are provided to the family and child where they live, learn and play, to enable the family to implement developmentally appropriate learning opportunities during everyday activities and routines. Most services will be early intervention home visits. Click on the link below for a short video that demonstrates and explains early intervention home visits. Brings services into the child's life rather than fitting the child into services. Maximizes each child's everyday natural learning opportunities. Enhances each child's development and participation in community life. Provides each child with a consistent team for services. 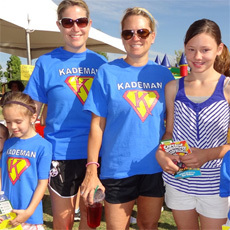 Gives families options in service decisions and encourages active partnerships. Provides a Primary Service Provider to work with your family, other caregivers, and the Team. To make a referral to TCES, please Contact Us. Treasure Coast Early Steps is funded in part by the Children’s Services Council of Palm Beach, Martin and St. Lucie counties. The Children’s Services Council is a dedicated source of revenue established by voter referendum to improve the lives of children and families in St.Lucie, Palm Beach & Martin Counties.